Metro applications introduce the use of contracts in your applications. You can think of them as “system interfaces” telling Windows: “my app is able to perform this operation“. One of them, and I think the one which will be the most interesting, is the “Share contract” which enable sharing (how strange !) trough an application. It works in pair with the “send contract” but in this post, we are going to focus on the share contract and describe what it is, how to put it in your app and how to use the shared data. 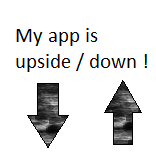 Windows 8 : how to detect the orientation and the layout state of a metro app ? Metro applications and windows 8 is designed to be runned on a PC. This is even better if this PC is a tablet 🙂 (but an eeepc is too small)! If the tablet has the required sensors, the application can detect its orientation and changes its layout to reflect it. More over, the metro app can be used in fullscreen or in splitted mode. The last one is basically a way to run two metro applications side by side. In this post we are going to see how we can detect this settings and follow their changes. Windows 8 is here and Visual Studio 2011 comes with it hand in hand. As you may already have read/seen/watch, there is a new set of applications coming named as ‘metro’. Visual Studio 2011 then comes with templates for different types of applications: basic Application, Grid Application and Split Application. 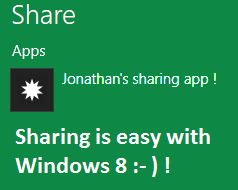 Each one helps you create application for windows 8 with the metro style. 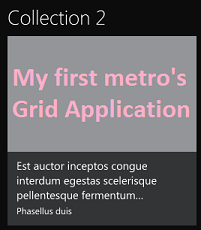 In this post we are going to explore in details a first type of application template: the Grid Application.